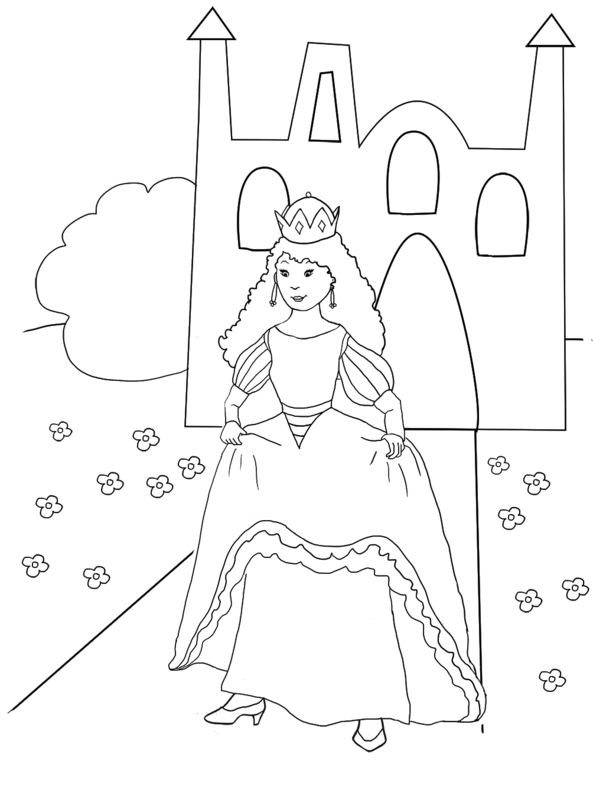 These princess coloring pages are great to print whenever you have a child who needs a little rest from all the other activities during the day. 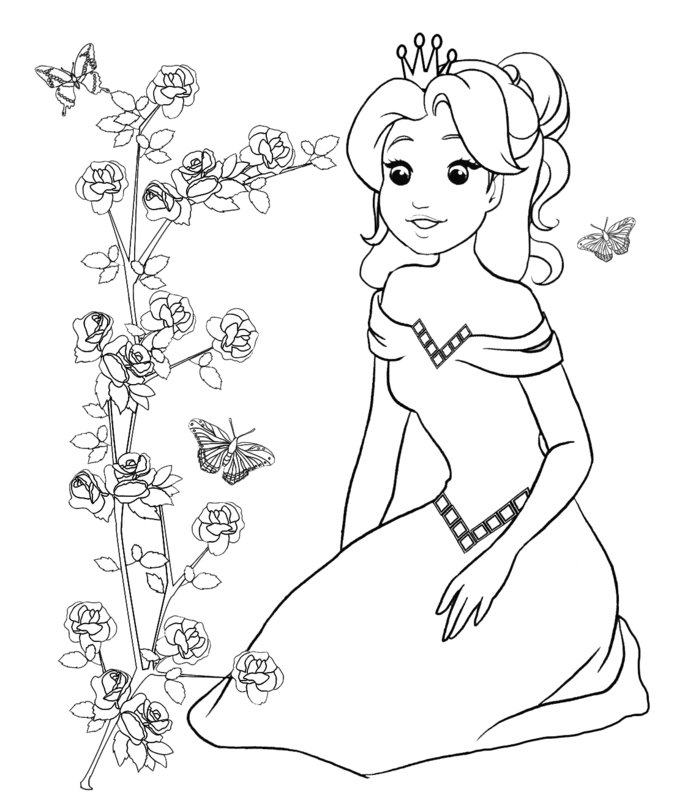 These free coloring pictures with princesses and roses, butterflies and birds can also be used for a princess birthday party. Find the link at the bottom of this page, as well as links to other pages here relevant to this one. Two of my granddaughters aged 4½ year like to paint princesses and unicorns and of course Elsa and Anna from Frozen, and when they are rested and well fed they can paint beautifully, like the one aged 6. 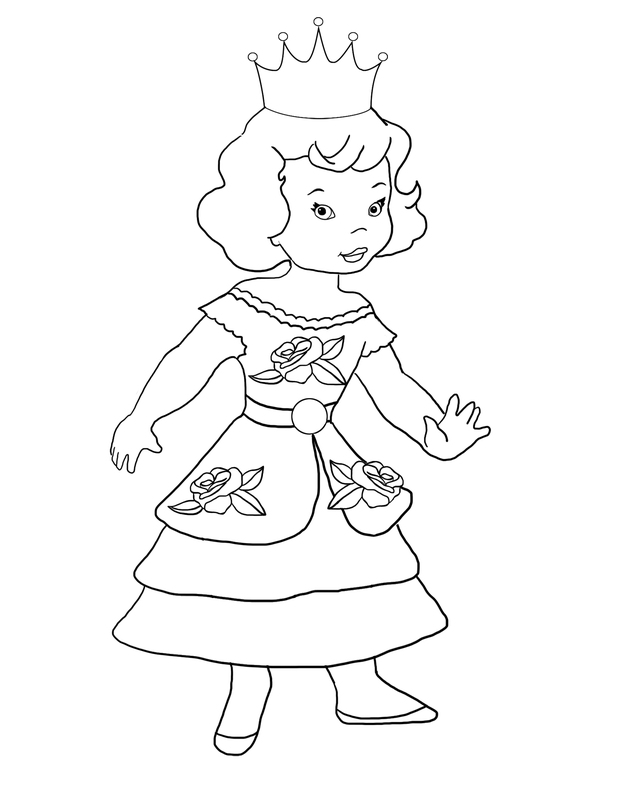 But when the two small girls are tired they kind of paint the whole princess very fast and with only one single color. 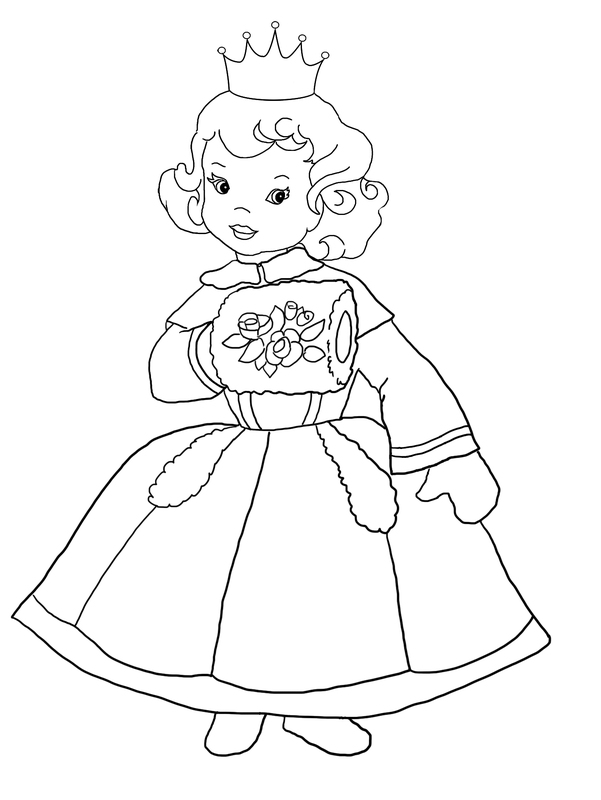 When you have bought a coloring book it sometimes feels like a waste of the book, but when you use coloring pages to print it is not very expensive and they can paint as much as they want and don't have to take care painting inside the lines. 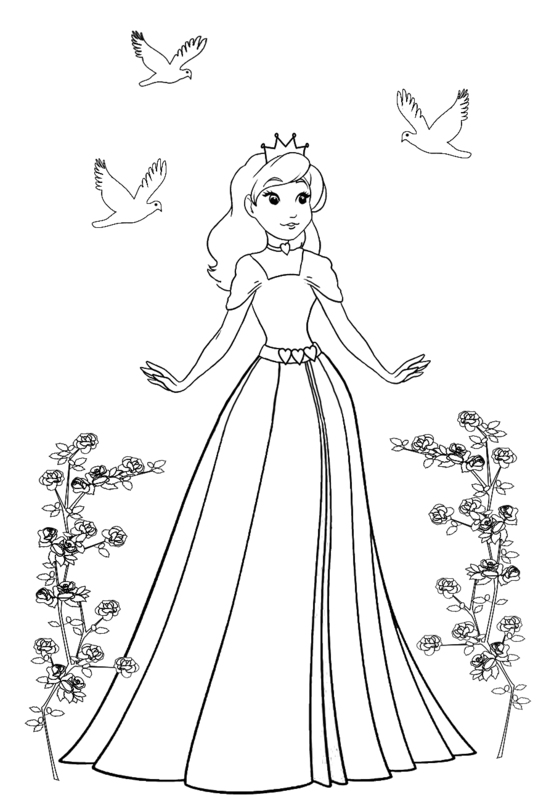 So print as many as you like of these free coloring pictures, if you have a whole group of girls at home, they can even have the same princess coloring page if they like. 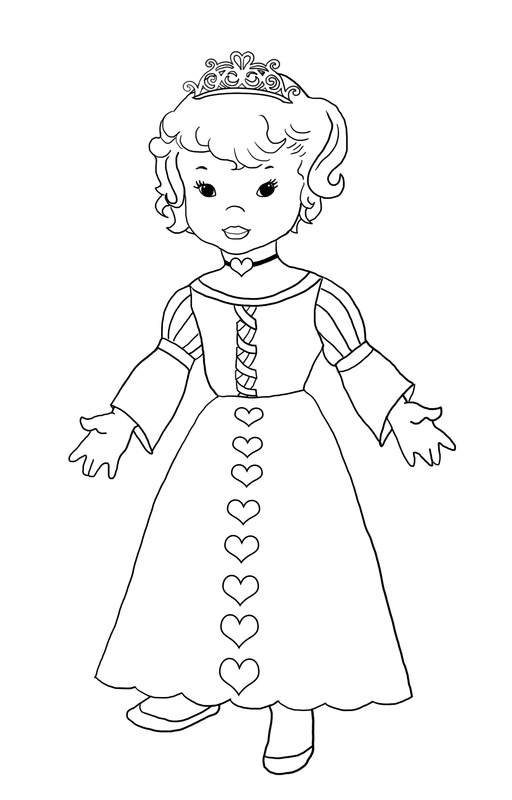 I think I must say that these coloring sheets are mostly coloring pages for girls, but of course boys can color them as well. 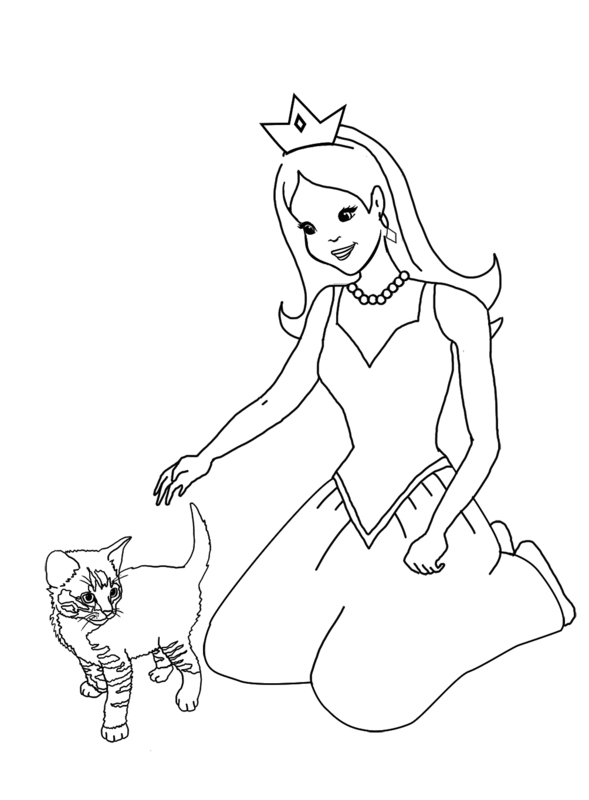 Otherwise there is a page with Pirate coloring pages that might be more appropriate for boys. 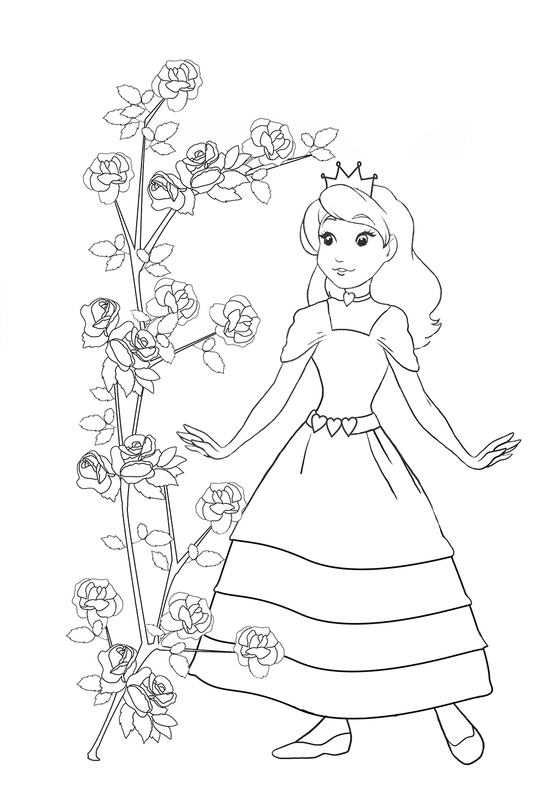 Above a princess looking at a beautiful rose bush, and below a princess with a rose and butterflies. Now you see below the same princess with another princess. 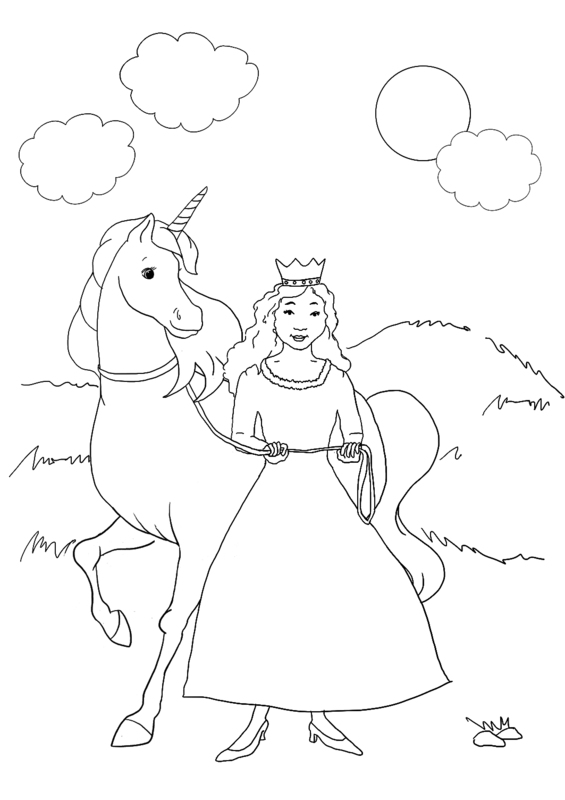 You can use these coloring princess pages as much as you like, as long as you follow the two simple rules for using my material that you can find on Homepage. All the pictures here are made smaller to let the page upload fast, but they are actually a lot bigger. 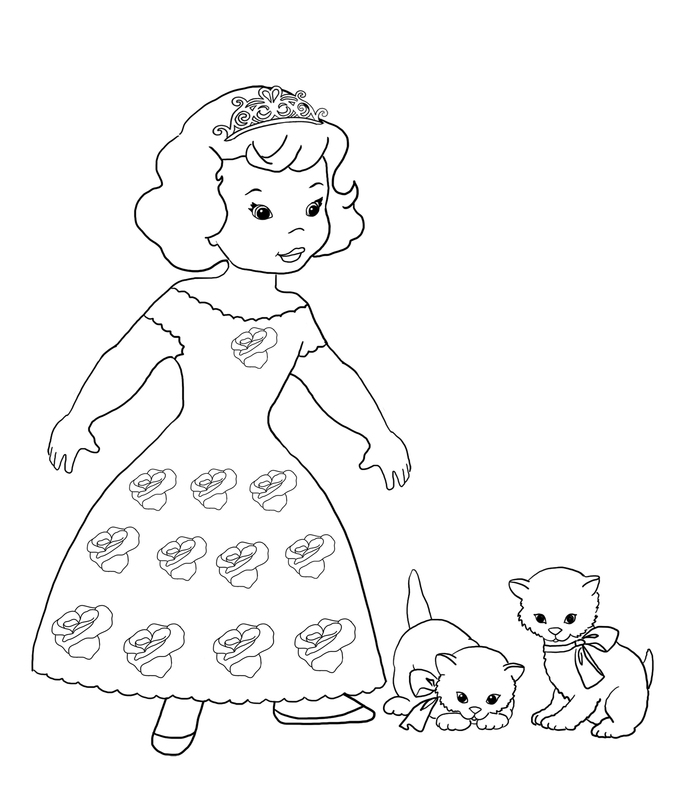 When you find a coloring page you like and would like to print, use the "download" button to save it to your computer, or click the picture to come to the same printable version in a new tab, then print it. 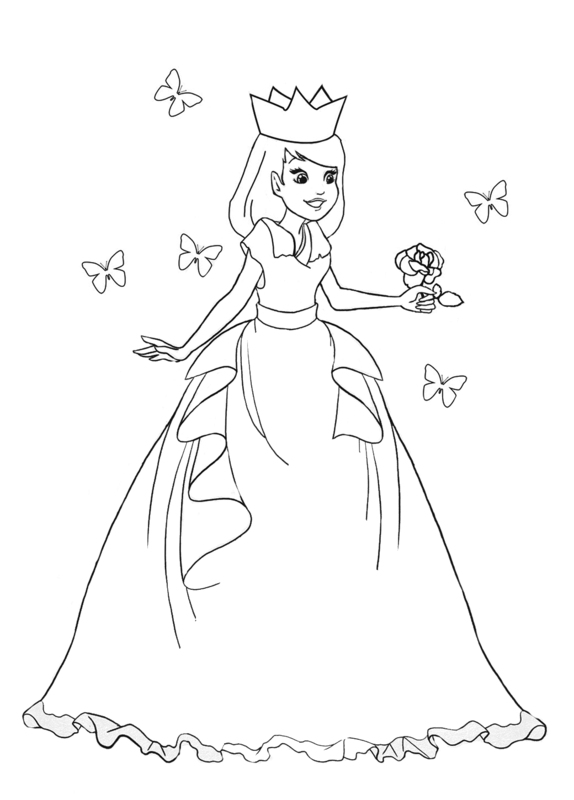 Print that version with 150 dpi, then the princess picture will fit an A4 page. 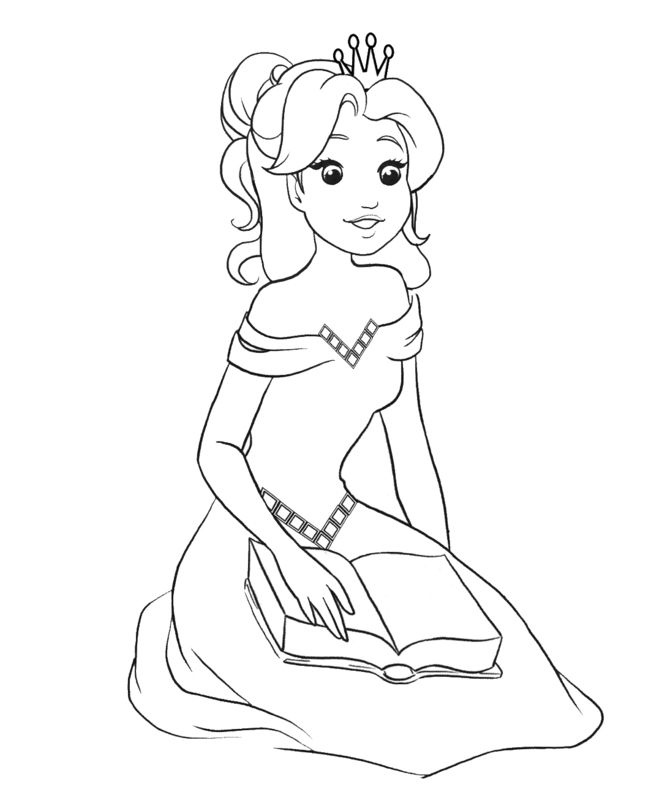 Two more coloring pages for girls with a princess, above with a rose bush and butterflies, below reading a book. 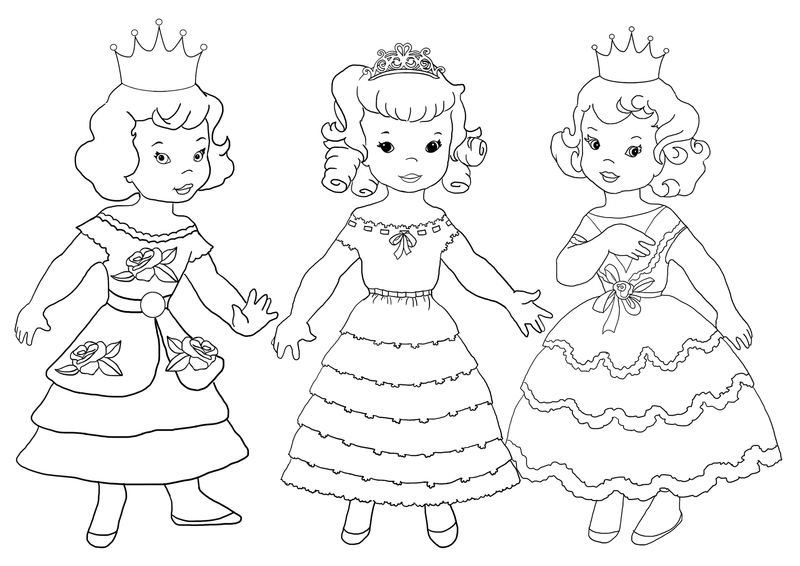 Here come some coloring pages with drawings of cute little princesses. 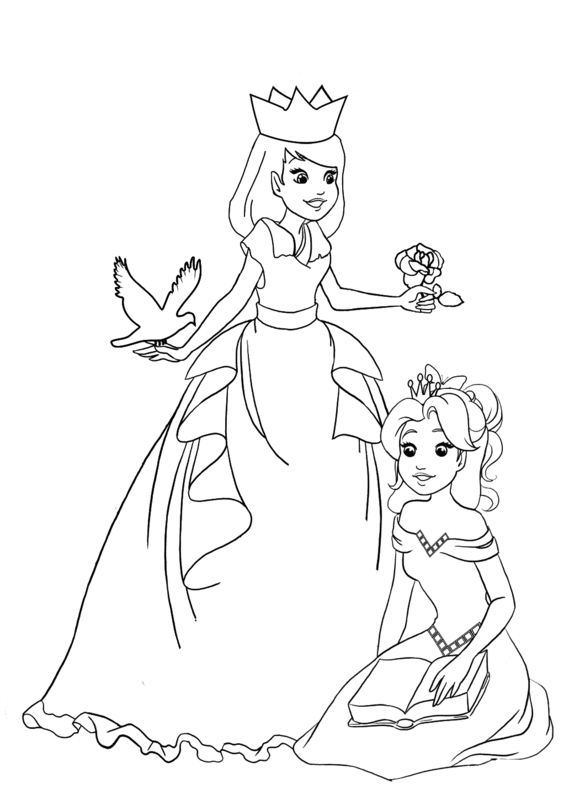 Two or more different princesses, dressed for a party or for winter. To fit a A4 page print them with 200 dpi. 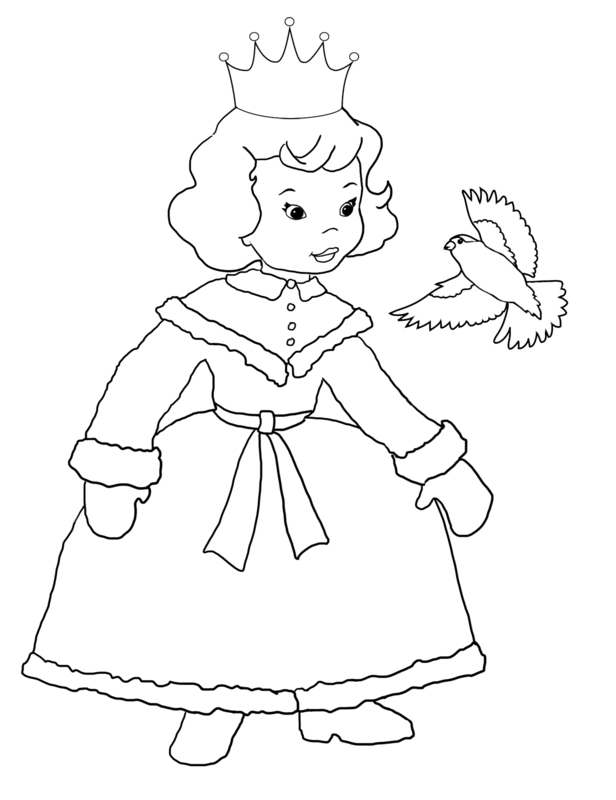 These coloring pages with the little princesses are made after some old, vintage paper dolls I have saved from my own childhood. I received these paper dolls as a gift from an aunt who had moved to USA when I was only 2 years old. I hardly remembered her, so when I some years later got this letter with these amazing paper dolls it was like magic - somebody send me a gift from a country far, far away. These paper dolls were also special because you didn't have to cut them - all you had to do was to push them out of the paper. And there was even more! 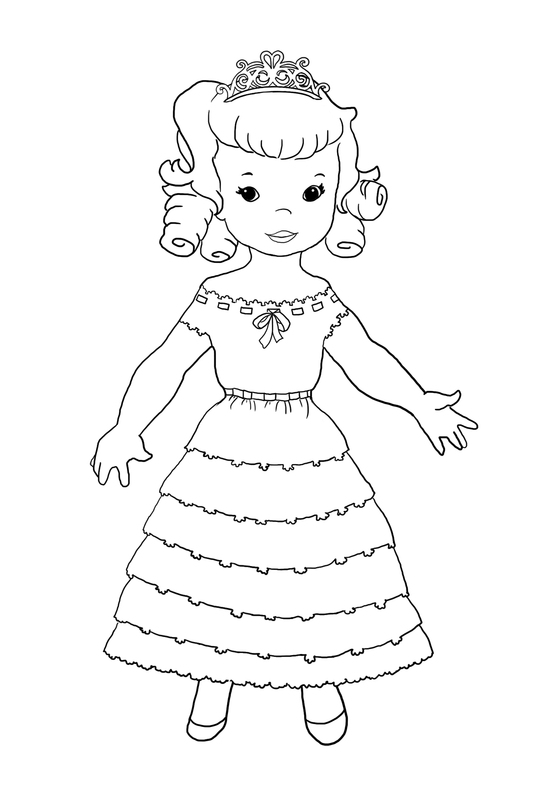 The dresses were made to go all the way around the dolls, making them just a little 3-dimensional. 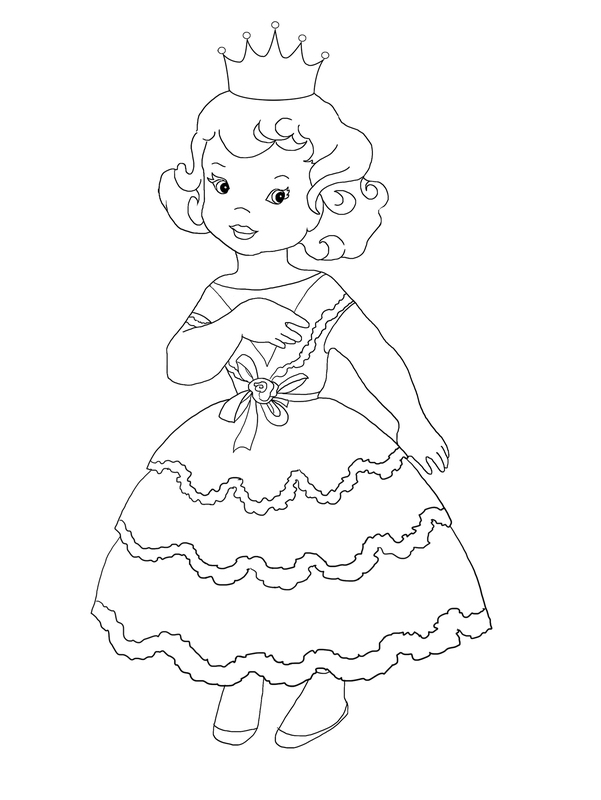 So now I have a lot of fun making these American paper dolls into princesses and hopefully have some great time coloring them in their different clothing. 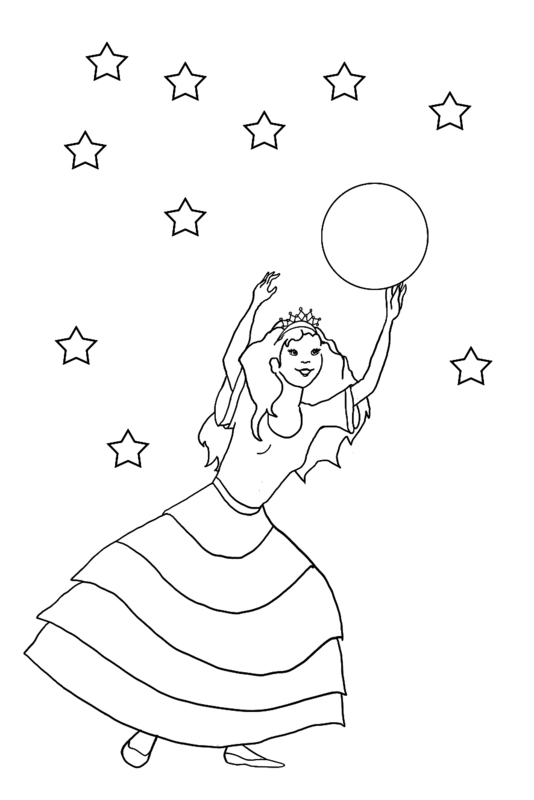 A princess coloring sheet with a princess playing with a ball - or maybe it is the moon or the sun - surrounded by stars.